Product categories of Cage Trap, we are specialized manufacturers from China, Cage Trap, Animal Trap suppliers/factory, wholesale high-quality products of Mouse Trap Cage R & D and manufacturing, we have the perfect after-sales service and technical support. Look forward to your cooperation! A Cage Trap is a wire mesh box shape device that is designed primarily to catch animals without any hurt them. No any poison or chemical bait needed during the trapping. Only food bait is put in the cage trap. When an animal enters the cage and moves toward the bait, the mechanism activates and closes the door over the top of the entrance. The target animal will be caught alive and safe. Then it could be transported and released countryside or killed. 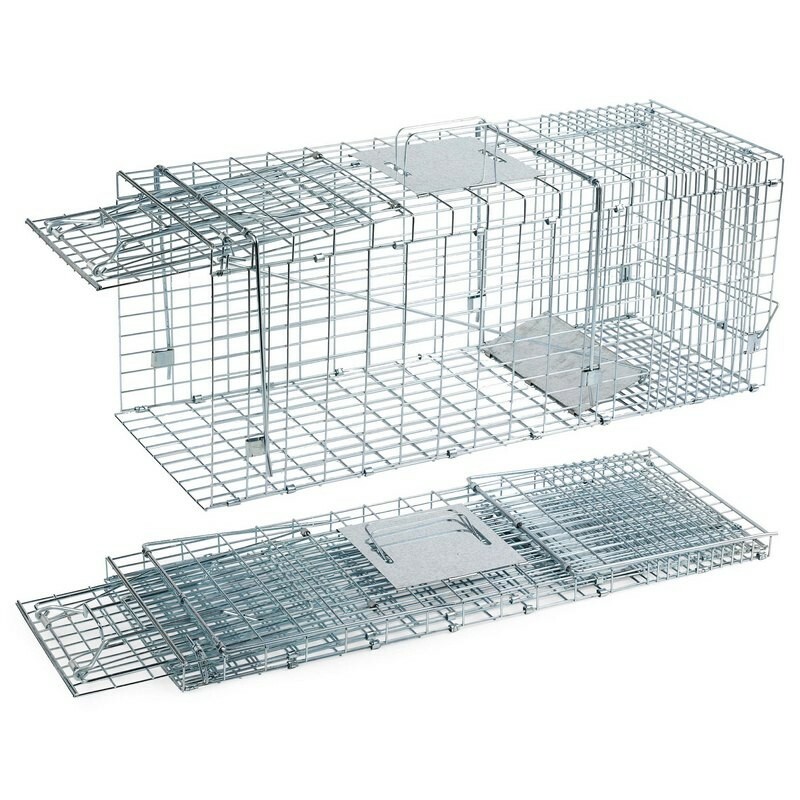 The cage may be used for Mice, rats, rodents, hedgehog, squirrel, possum, mink, rabbit, cat, dog, , fox, boar, coyotes, lynx, other large animals..
Our cage trap is primarily featured reasonable technical structure and heavy duty steel materials. It`s effectively capture animals like cats, rabbits, rats, mice,squirrel, cat, weasel, possums, fox, hog, squirrel, wolf, raccoons, deer, ferret, mink, dogs, opossums, armadillo, groundhog, lynx- The plate is on the over top of the cage trap avoiding being attacked by the animals in the trap. Two-door entrance and release donate to high capture rate.